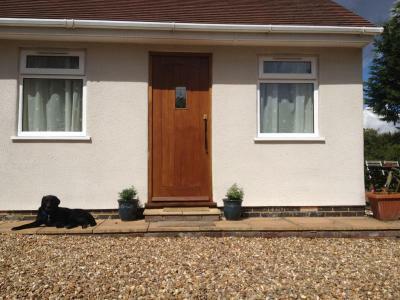 Lock in a great price for The Stables B&B @ Pear Tree Cottage – rated 9.3 by recent guests! External door so come/go without disturbing others & breafast in fridge for you to eat/prepare at a time that suited you. This was a great property for our plans to visit the Waddesdon Chateau — only a 15 minute drive there. 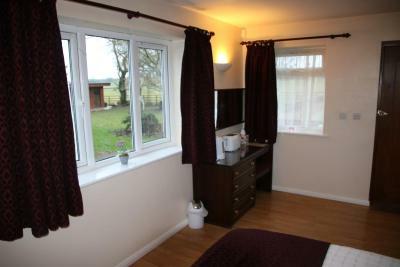 We enjoyed the spacious and comfortable room, looking out to a lovely patio and fields beyond with cows and sheep. 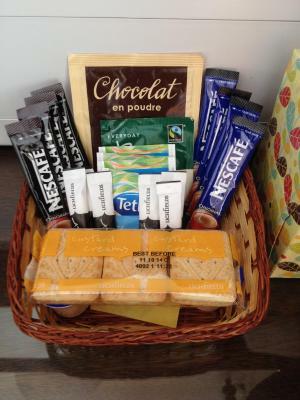 Our continental breakfast, provided in our room with a toaster and private refrigerator was a bonus. 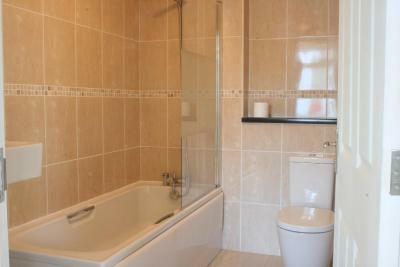 The ensuite bath was very nice and well appointed. 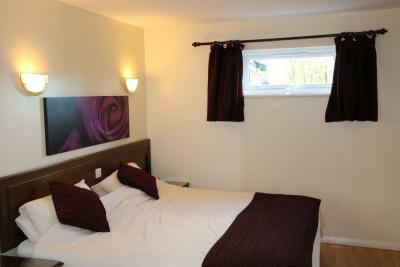 Hassle free experience, comfortable, clean and tidy accomodation. Good value for money. Clean, warm and comfortable. Great system to provide breakfast. No need to rush to be ready for a set tune. Later checkout that most places which was good for our needs. 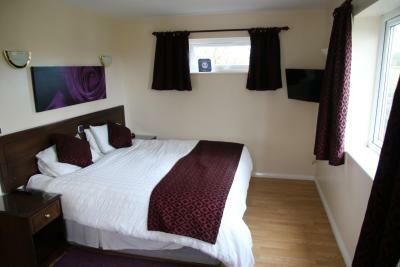 Owner was lovely ,the room was great very comfortable ,would highly recommend. 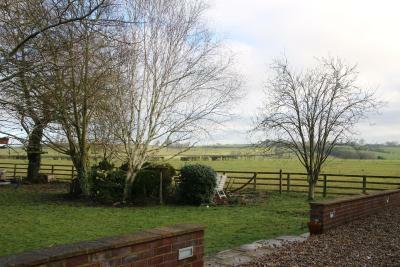 We liked that it was semi-rural with lovely views. It had a very large comfy bed. Lots of storage for clothes. Large bathroom. Very clean. Had everything we needed. The mini fridge was fully stocked. Really big room, and very clean with big bed. Parking not the best, but manageable. 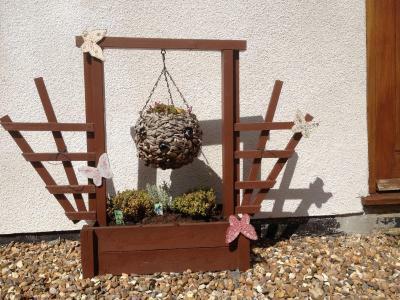 One of our best sellers in Winslow! Around 7 miles from Aylesbury, The Stables B&B @ Pear Tree Cottage provides accommodations in the Buckinghamshire countryside. 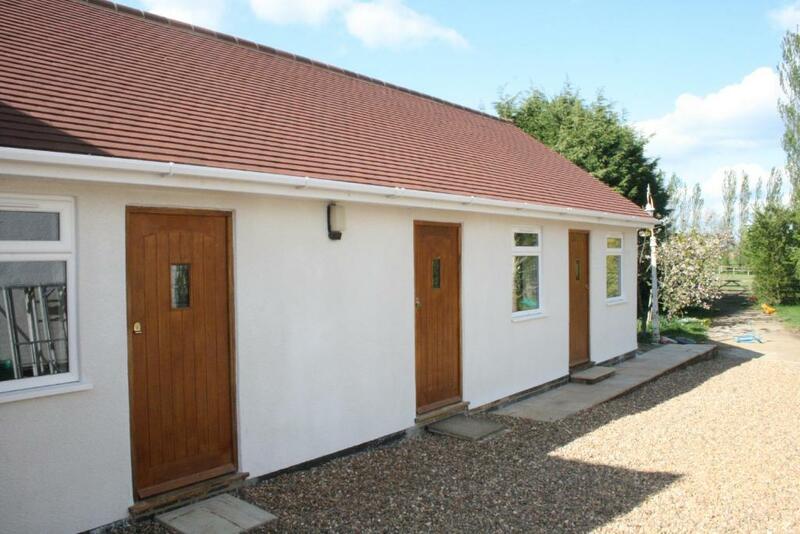 The rooms with attached bathroom are found in a converted stable block, and have free parking and WiFi. 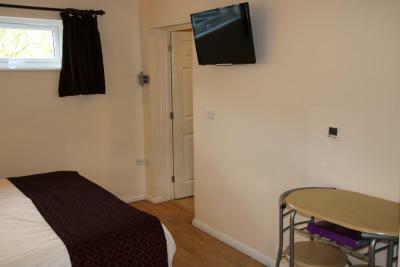 Each room has its own private entrance and includes a TV, fridge and tea and coffee facilities. 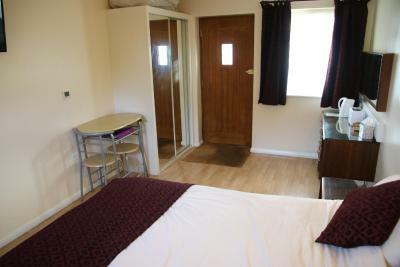 The king-size double bed can be converted to twin beds if required. 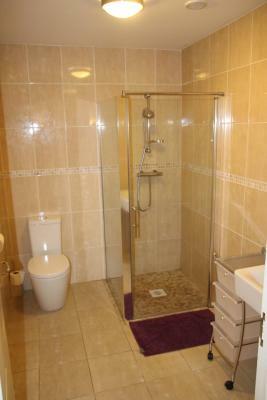 An private bathroom has a bath or walk-in shower with hairdryer and toiletries provided. 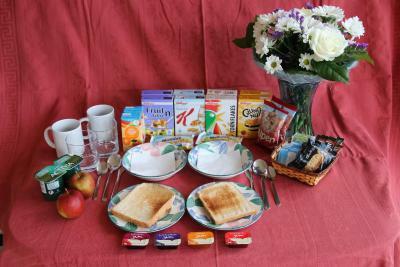 Continental breakfast is provided in the room and is a choice of cereal, toast with jam, yogurt, apples, tea and coffee. There is no cooked breakfast. 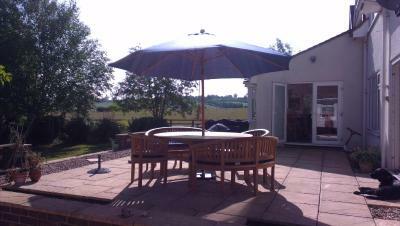 The Stables B&B @ Pear Tree Cottage is 10 miles from Buckingham and around 15 miles from Milton Keynes. The Bicester Village shopping center is around 30 minutes’ drive away, and Oxford, St Albans and Blenheim Palace in Woodstock are all around 50 minutes from The Stables B&B. 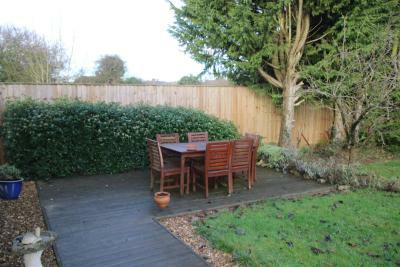 This property is also rated for the best value in Winslow! Guests are getting more for their money when compared to other properties in this city. 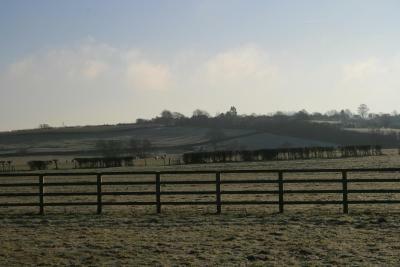 When would you like to stay at The Stables B&B @ Pear Tree Cottage? 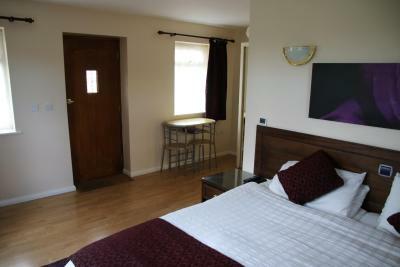 This room has a king-size double bed, TV, fridge and tea and coffee facilities. It has a walk-in shower, a patio and private entrance. 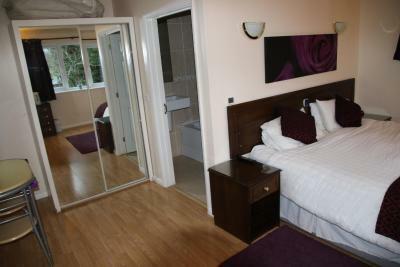 Featuring a bath with over-bath shower, this room has a king-size double bed, TV, fridge and tea and coffee facilities. It has a bath, patio and private entrance. 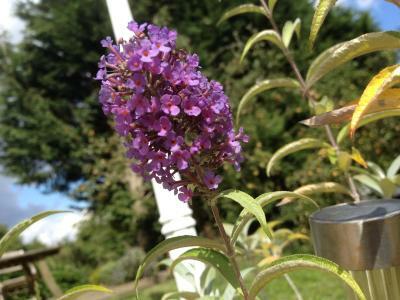 House Rules The Stables B&B @ Pear Tree Cottage takes special requests – add in the next step! The Stables B&amp;B @ Pear Tree Cottage accepts these cards and reserves the right to temporarily hold an amount prior to arrival. The Stables B&B @ Pear Tree Cottage accepts these cards and reserves the right to temporarily hold an amount prior to arrival. 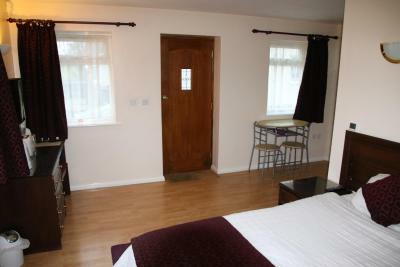 Guests found to have smoked in the rooms will be charged a cleaning fee of GBP 125. This also applies if tobacco products are found in the room bins. The water pressure in the shower was almost nil. The water tricked out making showering difficult. Comfy bed. Quiet location. 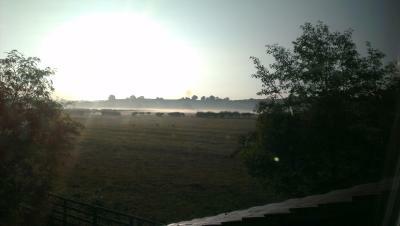 Nice views. Minor issue. Shower head needed attention. A week on from our stay, payment still hasn’t been taken despite reminding the proprietor on our arrival (booking said payment would be taken 2 days in advance) who said not to worry, will put payment through “soon”. Big room, very big bed, very clearn, good view from the window, comfy and peaceful! 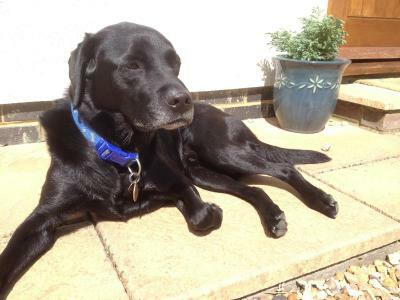 Very peaceful location and helpful owner. We were in the area for a wedding and the location and tranquillity gave us a chance to unwind after the festivities of the day. Would recommend and return again if in the area again. Lovely room in separate stable block, nice big comfy bed. Ingenious continental style breakfast in fridge in room, toaster and tea/ coffee making facilities, plenty to eat, excellent value for money. Owner very friendly and helpful. Recommended local pub for evening meal which was great.